Meticulously maintained single story home located in the highly sought after Sablechase subdivision. Private dinning room has plenty of space for entertaining. 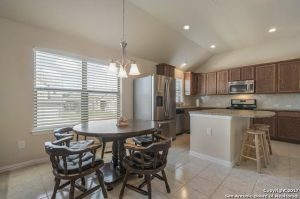 Kitchen has over sized island with breakfast bar, stainless steel appliances, tile backsplash and opens up to the living room. High ceilings and amazing natural light flow through the entire home. 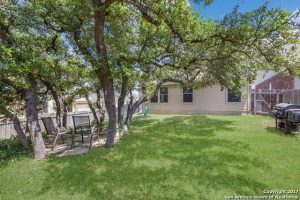 Beautiful trees in the backyard provide tons of shade so you can enjoy the summer nights outdoors. Desirable Boerne ISD. Priced way below new builds! 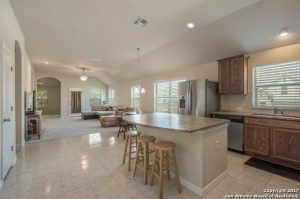 Anza Run, is one of the most desirable areas in the entire San Antonio Texas region. With excellent schools and a close proximity to the city. it’s an oasis just inside of the city. Thank you for reading about 7934 Anza Run Boerne TX 78015.